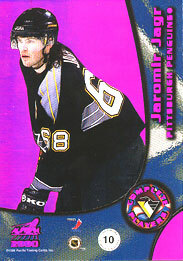 Jaromir Jagr (born February 15, 1972) is a Czech ice hockey right winger has signed with the Montreal Canadiens on June 29, 2011. 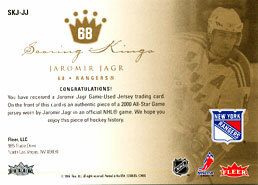 Jaromir Jagr formerly played in the National Hockey League with the Pittsburgh Penguins, Washington Capitals, and New York Rangers, serving as captain of the Penguins and the Rangers, as well as for Avangard. 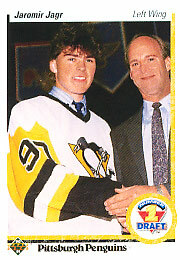 Jaromir Jagr was the fifth overall selection in the 1990 NHL Entry Draft. 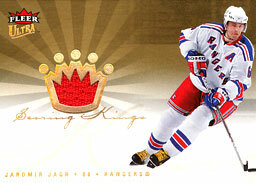 He won two consecutive Stanley Cups in the 1991 and 1992 seasons with the Pittsburgh Penguins. He has won the Art Ross Trophy as the NHL's leading point scorer five times, received the Lester B. Pearson Award as voted by the NHL Players' Association three times, and won a Hart Trophy as the league's most valuable player. He has been named to seven NHL First All-Star Teams. 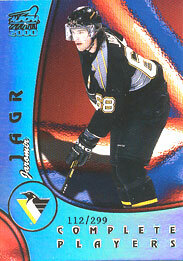 Jaromir Jagr is currently in the top 15 NHL players in career goals, assists and points (as of the end of the 2010–11 NHL season), and is the all-time leader among European trained players in all three categories. Jaromir Jagr was the Czech Republic's flag bearer for the Vancouver 2010 Winter Olympics. He is one of a very elite group of hockey players to have won the Stanley Cup (1991, 1992), the Ice Hockey World Championships (2005, 2010), and the Olympic gold medal in ice hockey (1998).